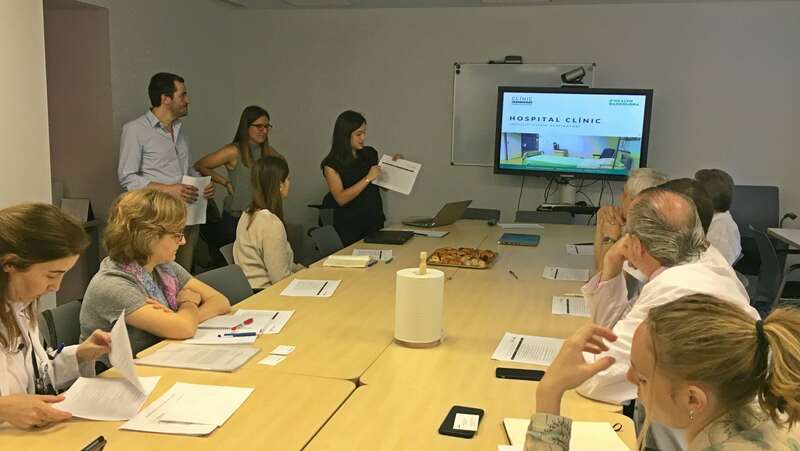 As part of its commitment to respiratory health and innovation, Chiesi España has become a partner in Design Health Barcelona (d·HEALTH Barcelona), the postgraduate program promoted by Biocat to train future innovators and entrepreneurs in the healthcare sector. d·HEALTH Barcelona is one of only four European programs inspired by the Stanford biodesign methodology. The fellows divide into multidisciplinary teams with graduates in science, design, engineering and business, and do a two-month clinical immersion in hospitals to detect real unmet clinical needs on site that can be the basis for creating new products or services. In this edition of d·HEALTH Barcelona, one of the teams of fellows did their clinical immersion in the Pulmonology Department at Hospital Clinic Barcelona. This has given Chiesi first-hand knowledge of real unmet needs in this type of patients, as part of its commitment to respiratory health. In this regard, as a partner in the program, Chiesi has the option to follow the fellows’ findings, meeting periodically to discuss the potential of the clinical needs identified and participate in periodic meetings at the hospital. At the end of the program, Chiesi will get a detailed dossier of the hundreds of needs the fellows have identified in pulmonology, which is a privileged source of innovation for the company. The admissions process for the sixth edition of Design Health Barcelona (d·HEALTH Barcelona) will begin this June and the course will start in January 2019. 90% of fellows that graduate find work in innovation positions in hospitals, pharmaceutical and medical technology companies, research centers or consultancies and other professional services firms. And 48% are currently working on their own project, many of which are based on ideas identified during the clinical immersion in the program. The program impacts more than 1,100 people each year in the Catalan healthcare ecosystem, including healthcare and hospital personnel, patients, mentors, venture capitalists, research and technology centers and other key stakeholders. d·HEALTH Barcelona is part of the Innovation Fellowships program of EIT Health, the top European consortium in health, which gives fellows the opportunity to take advantage of international mobility with other programs and gives them access to the extensive European EIT Alumni network after they finish the program.